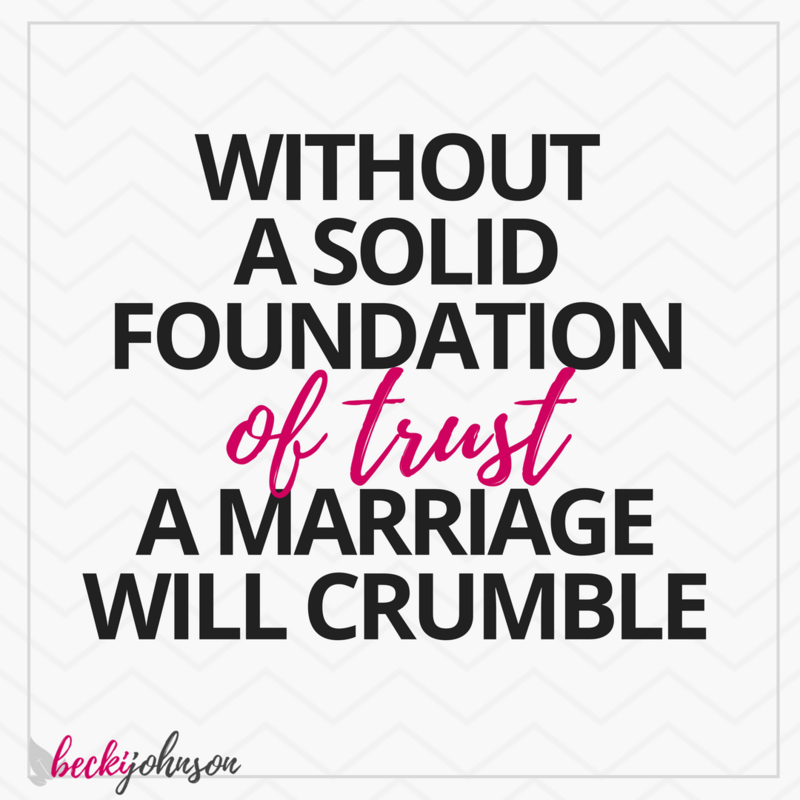 Trust is one of the foundations that must be established inside of a marriage. Trust is a sort of confidence that we have in knowing that what we see is in fact what we are going to get. In a marriage this sort of trust is essential. Without trust, everything else crumbles. When trust is not established or has been broken somewhere along the way, neither partner can feel secure in the marriage. It’s as if they have built their home in an area known for sink holes and they are just waiting for the time to come when everything will fall out from underneath them. That solid foundation of trust has not been built. There’s no confidence in the relationship or the partner. Now, any aspect of a marriage requires both partners to be 100% involved in order to be successful — building a foundation of trust is no different. Both the husband and the wife must do their part to establish trust. But you can’t do his part. You can only do your part. So my sister, I’m talking to us right now. As we continue in the study of Becoming an Excellent Wife, let’s dive into the role the wife plays in building that foundation of trust. The heart of her husband trusts in her, and he will have no lack of gain. She does him good, and not harm, all the days of her life. How can a wife begin doing her part to establish authentic trust in a relationship? There are many areas where trust dynamics will come into play, but I believe that trust begins in three core areas. The focus of the couple, the faithfulness of each partner, and their financial behaviors. As a wife, focusing on how you show up in these three areas of your marriage can completely elevate the level of trust you have with your husband. Let’s take a deeper look at each area. The number one way a husband is able to trust in his wife is knowing that they have the same focus in life… knowing that they are of one mind…. knowing that their goals are not incompatible but are in perfect alignment. This is essential because if both the husband and the wife are working toward different goals, eventually they’ll find that their paths in life have gone in two separate directions. His path is no longer crossing into her path. Her path is no longer crossing into his. Before they even know what happened, the husband and wife have drifted so far apart that they can barely even see one another anymore. This lack of one-mindedness causes either partner in the marriage to constantly fear what the other is thinking… what they desire most… if they are even the object of their spouse’s affection. For a couple that follows Christ, the primary focus should be the will of God. When both the husband and the wife are focused on the will of God (to bring Him glory & honor in all that they do in their lives) then a bond of trust will be established organically. That’s the way we were designed! This is all a part of becoming one flesh. The husband must be able to trust his wife intimately. The simple fact of knowing that his wife is not looking for another partner and that her heart belongs to him can allow him to rest at ease and not feel as though he has to protect himself from her. When a person trusts their heart to another, they are in essence saying “I know that I am safe with you and I trust that you will not do anything to intentionally cause me harm. Here is the most core part of my being… my heart. I trust you.” If your husband cannot trust you intimately, you will not have his heart. A husband must also be able to trust his wife with the personal details of his life. A wife who shares private details about her husband is quite literally gossiping about her husband. This behavior can be extremely hurtful to the marriage relationship. I encourage wives to think before they share details about their spouse. Imagine, if you will, that you are getting ready to share something about your husband with your best friend. It’s just an innocent conversation and you aren’t intentionally trying to cause your husband any harm. Just stop for a moment and ask yourself, however, if you would be ok with your husband sharing the same information about you with the guys in his break room at work. If that thought gives you pause, it’s not a topic for conversation. End of story. If you want your husband to open up to you, let him know that he can trust you in this area too. Another way that a wife can prove her faithfulness (or disprove it) is the way that she speaks about her husband. Many wives make it no secret the disdain that they hold for their husband. They publicly ridicule and mock their husbands. They go out of their way to highlight his weaknesses — and often right in front of their husbands! If you’ve ever been the target of someone’s constant criticism — whether publicly or privately — you how deep it cuts each time they throw another dagger of disapproval. As his wife, surely he seeks your approval beyond that of any other. A wife who speaks poorly of her husband is not doing herself any favors. In fact, this behavior shows her to be either: a drama queen, a victim, or a bully. At no time does a woman who speaks poorly of her husband appear to be on his team. You wouldn’t understand why a famous football or basketball player would speak poorly of his/her team. So why is this any different? In fact, the wife should be even more devoted to uplifting her husband than sports stars are of their team. There is a deep sense of trust that comes from knowing your spouse is genuinely lifting you up at every opportunity. I challenge you to strive to give your spouse every opportunity to develop this sense of trust with you. Note: I am not suggesting that any wife is responsible for her husband’s thoughts or emotions. Those rest completely on his shoulders. The wife is absolutely responsible for her behavior inside her marriage. While she is not responsible for his thoughts or emotions, her behavior can certainly be a positive or negative influence on them. The last place we will look to develop trust is in the area of finances. You might be wondering how on earth finances has anything to do with trust, but stay with me while we explore this a bit. A quick Google search on the internet will show you that money is the #1 reason for marital problems. Above infidelity. Above disagreements over how to raise the children. Above any other thing that couples deal with in their marriage… the mighty dollar is the greatest pain point. So if finances are the #1 issue in a marriage, it goes without saying that developing trust in this area is of the utmost importance. So how can you, as a wife, build financial trust with your husband? There are two basic principles to developing financial trust: communication & transparency. The husband and wife must communicate about all of their expenses, spending, and plans around money. And they must be completely transparent. Any sort of hiding or deception will only cause division and distrust in the relationship. The goal here is to build trust, not tear it down. A wife who seeks to genuinely build the trust of her husband will indeed be working toward building a stronger foundation in her marriage. This trust isn’t about her. It isn’t even really about him. As this trust is established, their bond as a couple will strengthen and they will both be healthier and more satisfied in their relationship. One flesh — trusting and serving one another in a way that only a husband and wife can. Would you like to join me in striving to become a better wife? Download the “Becoming an Excellent Wife” Workbook and walk alongside me in this journey. ✽ Where do you most want to develop trust in your marriage? ✽ What can you do starting right now to make that a reality? 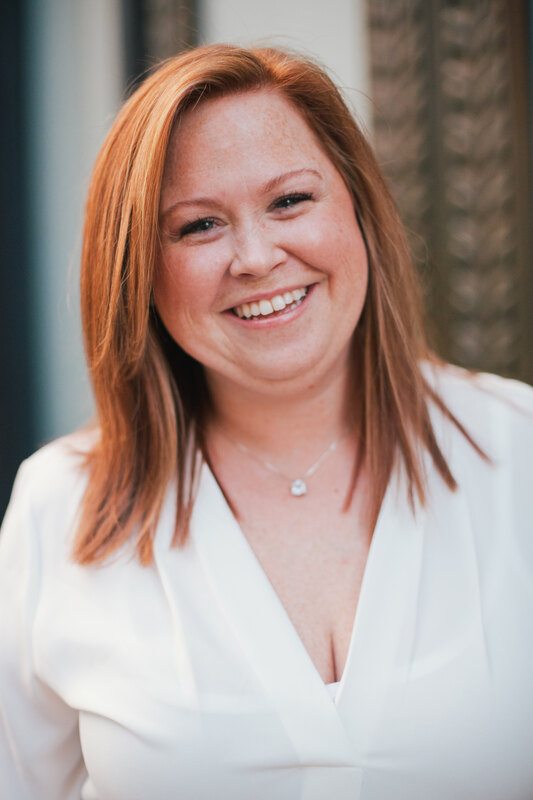 Becki's passion is helping women embrace and thrive inside the life God has designed for them. She believes that Christian women can live a life of joy and victory today - right where they are. Rest easy: We have a strict no-spam policy.